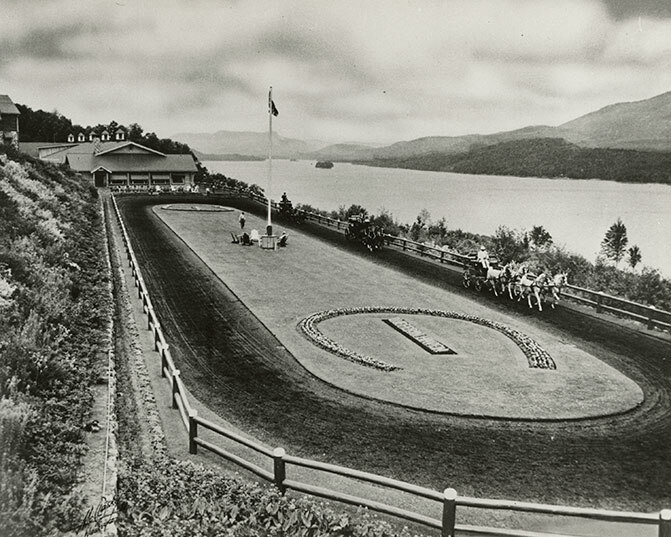 Black and white photograph of James Franceschini in his outdoor horse ring at his Dufferin Haven Estate in Mt. Tremblanc, QC, 1953. Mt. Tremblanc is shown in the background across the lake. The indoor stable is visible at the far end of the horse ring. James is driving his prize Palomino four-in hand horses.